Processed Meats | All American Foods, Inc.
Food Standards – Pro Mix® ingredients provide Kosher-Dairy products that meet the standards of identity for ingredient use in processed meats. Yield – Pro Mix® ingredients increase the yield of processed meats by preventing water and fat loss during processing. Emulsification – Pro Mix® ingredients increase fat retention in processed meats by supplying dairy proteins that interact with meat proteins to form a protein network that entraps fat during heating. 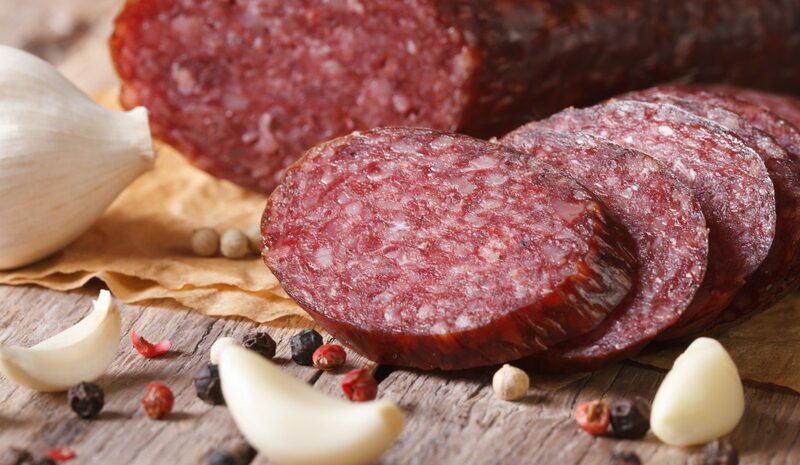 Flavor – Pro Mix® ingredients enhance the flavor of processed meat by delivering a bland dairy base that complements the natural meat flavors and added spices. Color – Pro Mix® ingredients provide the flexibility to contribute whiteness to chicken breast or browning to cooked sausage.